The event was organized by the branch of the Centers for Disease Control and Prevention in charge of investigating community health concerns related to potential toxic substances and diseases. Tom Laughlin of Anaconda, MT says he has an autoimmune disease and he's concerned about the health impacts of the old copper smelter in town. He met with officials with the Centers for Disease Control and Prevention during a public health listening session Thursday, May 10, 2018. Tom Laughlin showed up t0 the meeting. 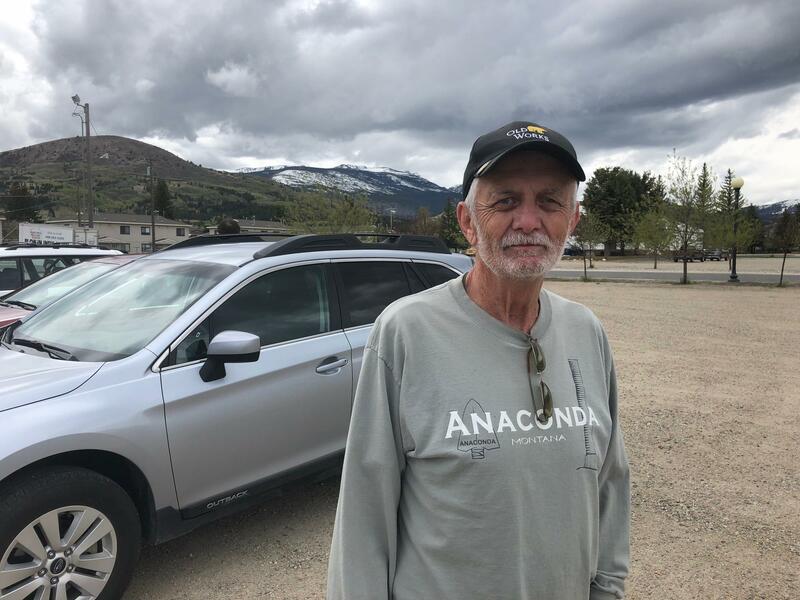 He says he’s lived in Anaconda all his life and taught at the local school for 39 years. He says he has an autoimmune disease and no one has been able to explain to him how he got it. “And it’s pretty rare. One out of 30,000 people get it. Between Butte and Anaconda I know seven people that have it. That’s kind of high,” he says. The Anaconda Company Smelter processed ore from Butte’s Berkeley Pit until the early 1980s. A few years later the smelter site was placed on the Environmental Protection Agencies Superfund Program’s National Priorities List. 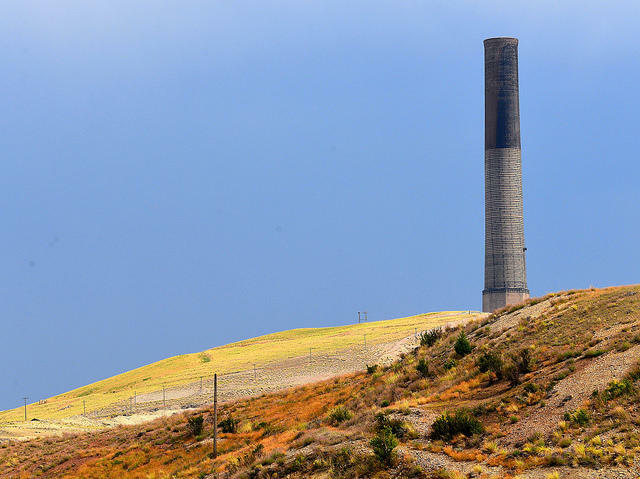 According to the EPA, over the century of milling and smelting operations, high concentrations of arsenic, lead, copper, cadmium, and zinc were produced at the smelter and these wastes contaminated the soil, groundwater and surface water. Laughlin says while there have been efforts to clean up the waste, not enough has been done to compensate the community for what he says could be significant costs to people's health. “I think that medical care for people that have diseases related to the smelter, medical care ought to be free. I don't think the counties or the states or the U.S. government should pay for it. I think the people that did it -- if you hurt somebody, it's your fault, you gotta pay for it,” Laughlin says. The Anaconda Copper Mining Company ran the smelter for most its working life but it was bought by the Atlantic Richfield Company in 1977. “Things just have been moving really slow, but we’re thankful for someone to be looking at it now,” says Marilyn Holm. Holm also came to talk to government health officials about her concerns Thursday. She says she has a daughter with an autoimmune disorder. She says besides being worried about the potential human health hazards left behind by the smelter, a Superfund site in town also hurts locals' well being. 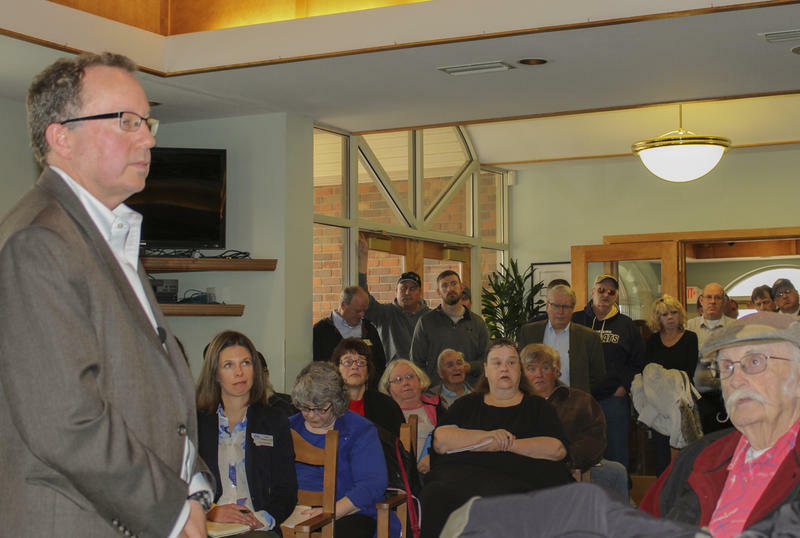 Steve McNeece, the president of the Community Hospital of Anaconda, also stopped by the public health meeting and met with federal and state health officials. Heading into a listening session on public health concerns Thursday afternoon at the Anaconda senior center, Kai Elgethun, with the federal Agency for Toxic Substances and Disease Registry, said he’s heard a wide range of issues from people in Anaconda area. At this point Elgethun says ATSDR is still working on gathering facts, which is what the listening session was all about. And it’ll be what officials hear from locals, combined with other research, to determine to what extent, if any, there is link between public health issues and the local environment. “We’re going to take all the information that we gather from the community today and we’re going to go back and analyze the responses and formulate a plan. We'll come back to the community in approximately 6-8 weeks and present that plan, and the move forward with investigations we have to do after that," he says. Elgethun says the process of looking into a potential link between the environmental contamination of the Anaconda smelter site and human health issues could take awhile. He says could take ongoing individual biological monitoring and environmental monitoring to see what exposures might be occurring. If people were unable to attend the public meeting Thursday, they can send comments and contact the Anaconda-Deer Lodge County Public Health Department. Contact: Katherine (Kitty) Basirico, BSB, MPH, Director, Anaconda-Deer Lodge County Public Health Department, (406) 563-7863, kbasirico@adlc.us or by visiting the Anaconda Deer Lodge Public Health Department, 115 West Commercial Avenue, Anaconda, Montana.